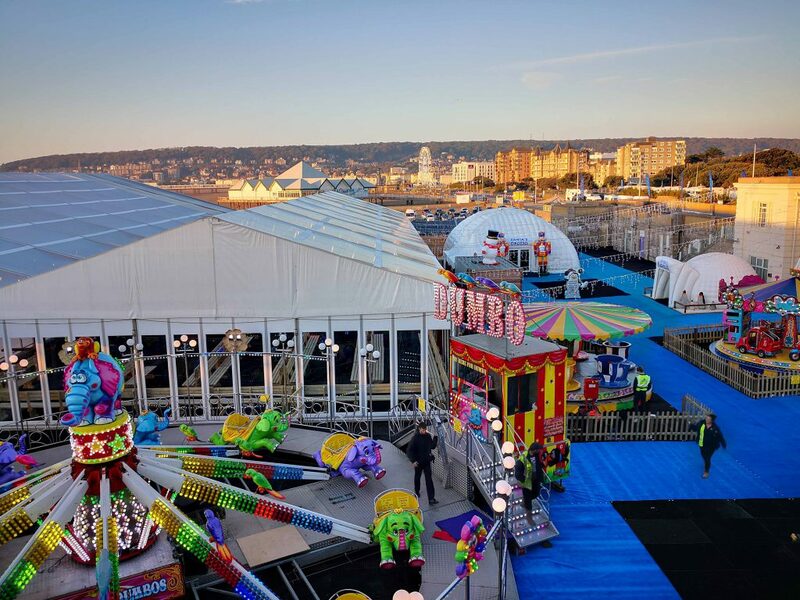 The UK’s largest covered winter ice rink returned for a second year to the iconic Tropicana in Weston-super-Mare; and what a successful season it was. Icescape’s newest venture, Icescape @ The Tropicana, was transformed once again into a spectacular winter wonderland, where visitors enjoyed skating, delicious food & drink, Santa’s Grotto and more. With a revised layout and the addition of The Lodge Bar, Icescape @ The Tropicana was the talk of the town! We worked again with our sister company Danco Plc who supplied all the temporary structures for the venue, including the clear canopy above the ice, decorated with glowing festive lights. We also worked closely with a local print supplier who provided personalised branding including large-scale signage & posters that were visible across the site. The team worked incredibly hard to maintain the rink for optimal skating conditions as well as ensuring customers had a great day out! We’d like to say a huge thanks to everyone who joined us last season. Thanks to all of our staff, our customers, Pippen the penguin, our suppliers, musicians, traders, schools, charities and of course Santa! It’s only spring but we’re already looking forward to our next season at The Tropicana. Planning is well under-way and it’s set to be the best year yet! This entry was posted in Events on March 25, 2019 by James McMillan.